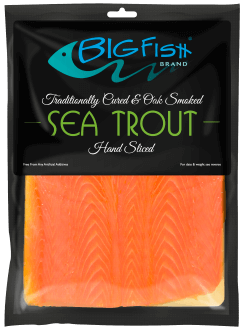 Meet our delicious BigFish Brand Smoked Sea Trout. It’s made with a strain of rainbow trout which is slow grown for us at sea. 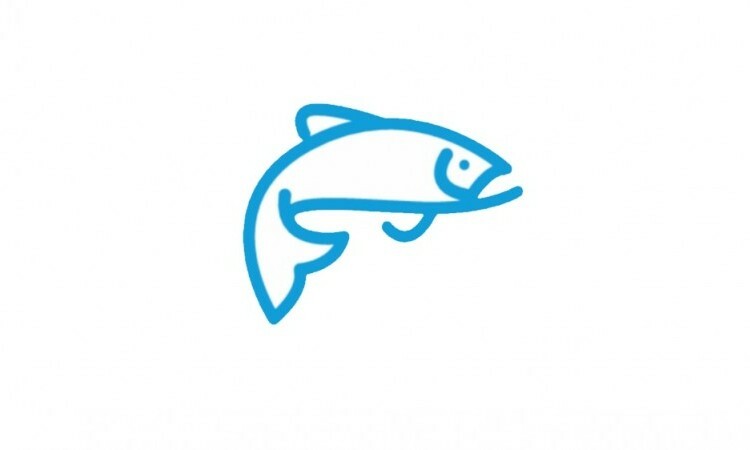 This fish is from the same family as salmon and makes a fantastic smoked product, but with a uniquely delicious flavour. Just like our BigFish Brand Traditional Smoked Salmon, our Smoked Sea Trout is traditionally cured, oak smoked and hand sliced. Absolutely fantastic on toast, for canapés or even just in a very special sandwich!